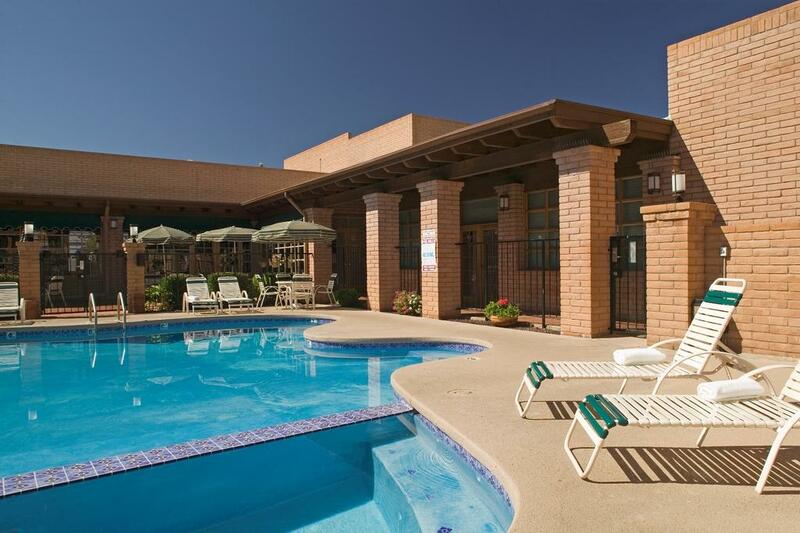 Spacious, inviting accommodations open onto three beautiful courtyards, accented with rustic wooden beams, cool green foliage and outdoor seating, make a lovely gathering place to enjoy the warm Arizona evenings. Enjoy the complimentary breakfast buffet featuring a host of hot and cold items daily while sitting by the outdoor pool or indoor patio room under cool ceiling fans. 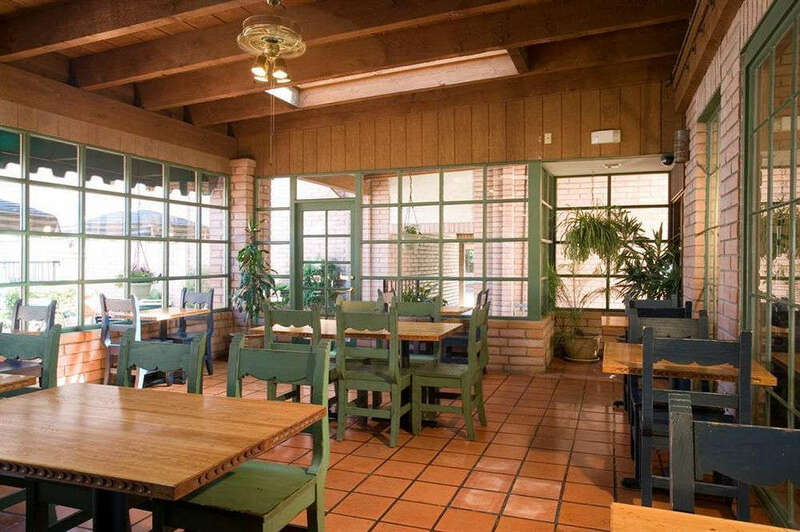 AZTEC - offers 1961 sq ft with a Garden Terrace and max capacity 175 persons. ** We offer special daily rates for kids birthday parties with use of pool and light snacks. Packages are priced at $250 for the day to include table layout, use of pool and food to include Pizza, chips and drinks. Brown Canyon Ranch, formerly known as the Barchas Ranch, is a historic ranch located in the foothills of the Huachuca Mountains, near Sierra Vista, Arizona.The land Brown Canyon Ranch is on was first settled around 1880 by John Thomas Brown, who owned a hotel a few miles away in neighboring Ramsey Canyon.Following a succession of owners, the land eventually ended up in the hands of the brothers James and Tom Haverty. 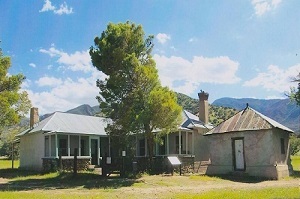 Between 1905 and 1907, James and his brother built what is today the most prominent building in the canyon, a modest three-room adobe home, now known as the Brown Canyon Ranch House. One of Arizona’s largest military installations, Fort Huachuca was established in 1877 and continues as an active military post. The fort was the headquarters of the 4th Cavalry patrols that pursued Geronimo and his band of Chiricahua Apache and ultimately brought about their surrender in 1886.Located within Fort Huachuca, Garden Canyon is sometimes called the most beautiful canyon in the Huachuca Mountains, and this scenic area contains some of the most diverse plant and animal life in the mountain range. 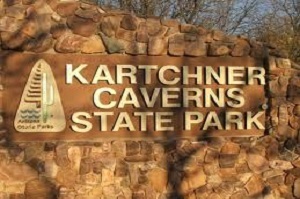 Kartchner Caverns State Park is a state park of Arizona, United States, featuring a show cave with 2.4 miles of passages. 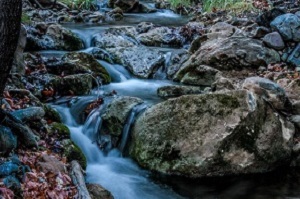 The park is located 9 miles south of the town of Benson and west of the north-flowing San Pedro River. Long hidden from view, the caverns were discovered in 1974 by local cavers, assisted by a state biologist who helped in its preservation. Famous among birders and other naturalists for over a century, this 380-acre-property in the middle elevations of the canyon provides excellent birding opportunities from April through September. Hummingbirds abound. Sulphur-bellied Flycatcher, Dusky-capped Flycatcher and Painted Redstart are common in summer, while Arizona Woodpecker and Bridled Titmouse are here year-round. Coues's White-tailed Deer and White-nosed Coati are common.To reach Ramsey Canyon Preserve, take Hwy 92 south for seven miles from Sierra Vista. 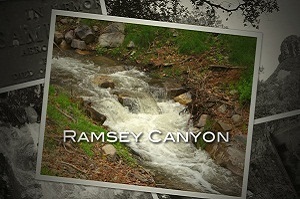 Turn right on Ramsey Canyon Road and follow it to its end. No RV's over 18 feet or trailers of any size permitted. All children are welcome. Free! All children under 2 years stay free of charge in a crib. All children under 12 years are charged USD 10 per night for extra beds. Any additional older children or adults are charged USD 10 per night for extra beds. The maximum number of extra beds in a room is 1. Any type of extra bed or crib is upon request and needs to be confirmed by management. Additional fees are not calculated automatically in the total cost and will have to be paid for separately during your stay. Pets are allowed. Pet Friendly. There is a $15 pet fee. I decided to stay here because of all the great reviews. They were spot on! The place may look unassuming on the outside but our room was spacious enough and clean on the inside. The breakfast buffet was very good. We didn't use the pool or the fitness room but they were available. I would definitely stay here again! Very quiet, clean rooms, super staff! 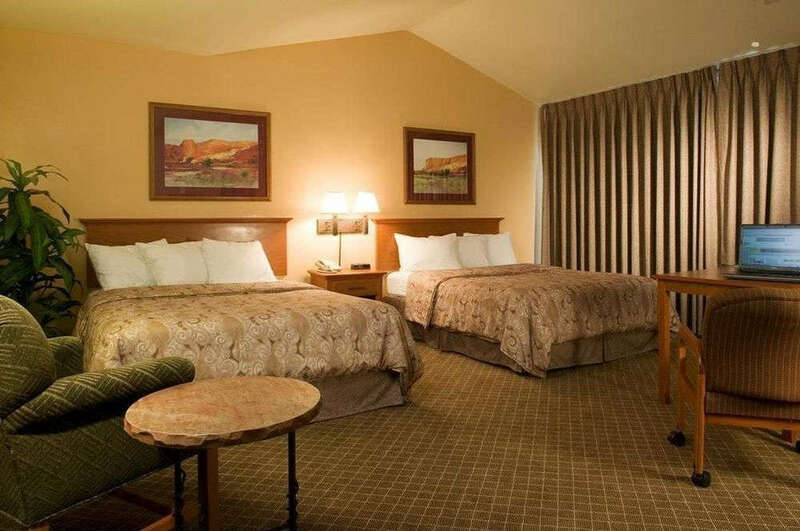 This is a quiet, unassuming hotel with a great staff, recently remodeled rooms, and an excellent complimentary breakfast! Great place to stay at a great price! I definitely recommend this place! 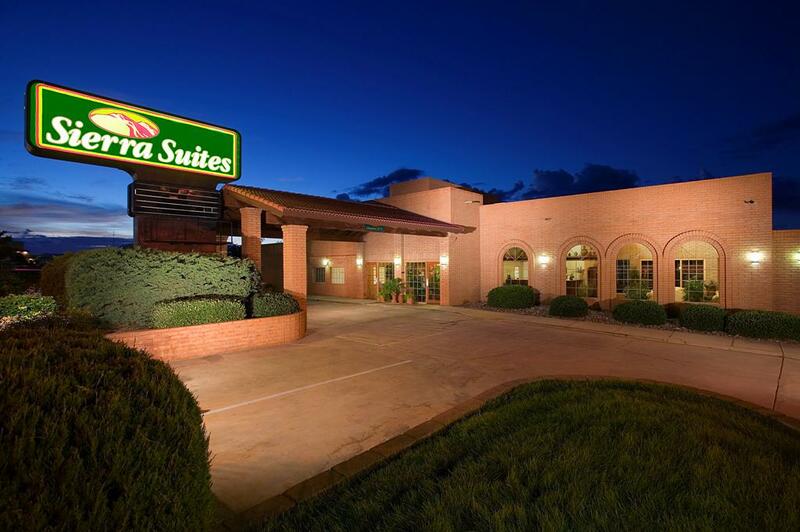 Nice hotel in Sierra Vista. Booked online and got a great price. 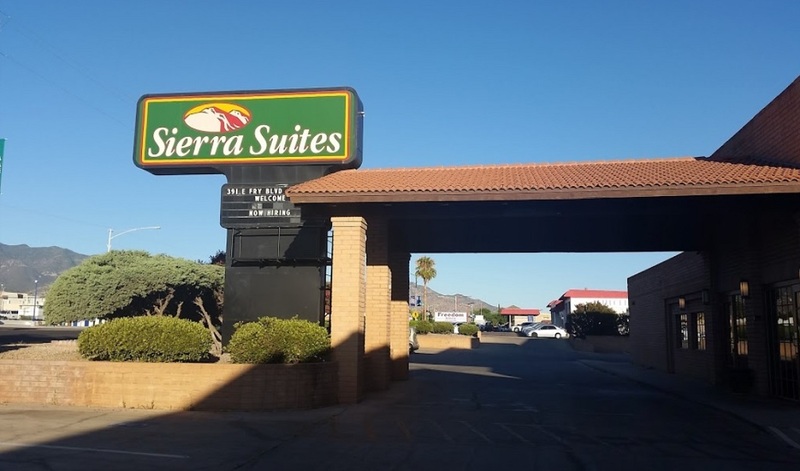 Decent breakfast, clean room and right next door to a good Mexican restaurant which you get 10% off if staying at Sierra Suites. Central location in Sierra Vista. Would stay again. Super friendly and interested staff. I hate staying in hotels but I felt right at home in our room and in the common rooms. We stayed in a huge second floor room overlooking the pool. The whole place was quiet and clean. Our Saturday morning free breakfast even had sausages, waffles, and scrambled eggs along with cereal and rolls. We will definitely stay there again when in the area. The interior courtyard we passed through to get to our room was just a nice added touch. 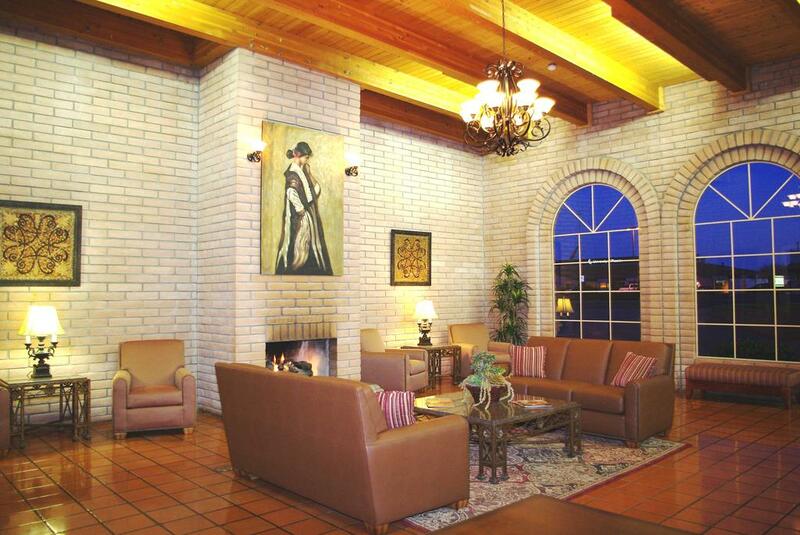 I came to Sierra Vista 3 years ago with a friend to see the sites and I chose this hotel. I'm so glad I did. We were pleased then and are still pleased when we came last week to go wine tasting in the area and see more sites. This place is accommodating, very comfortable, has a lot of 'atmosphere', and is my hotel of choice in the area, there's excellent amenities, wonderful mexican restaurant next door. We stayed for two nights while we visited the surrounding area. Room was extremely spacious and very clean, comfortable bed, friendly and helpful at the reception desk, loved relaxing at the pool, excellent breakfast, quiet.......not one complaint! If we are ever back in the area, I would book here! The staff here is so incredibly friendly, helpful, and accommodating. The rooms are comfortable and clean. We were in town for a family emergency and then again for a funeral and we couldn't have asked for a better place to stay!! Thank you!! Great place and location to stay to visit family in the area! Was pleasantly surprised at the spacious room. Definitely worth what we paid and more! Even though it is an older hotel, we found the rooms and area well maintained. The breakfast choices were well appointed. Would highly recommend this hotel for those traveling to the area!